Self-esteem and leadership go hand-in-hand. The good news is that courage can be cultivated and become a habit. Today I have great news for you. 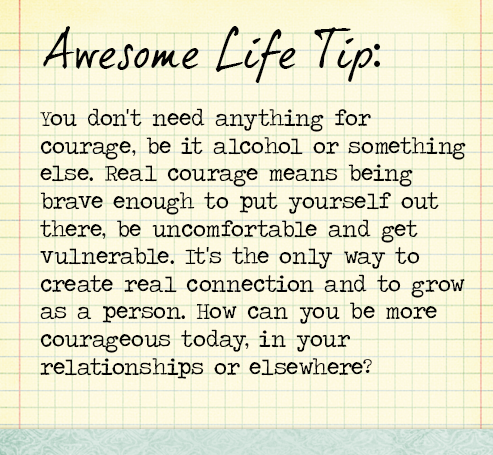 We've talked a little about the relationship between courage and self-confidence. One aspect of that was that we can use courage and doing things that scare us a little to boost our feeling of self-worth and confidence. In other words, we can increase self-confidence by being courageous or doing something that takes a little courage more often. Why is this such great news? Because courage is a habit. It's something that's completely in our control and a habit we can cultivate. All it takes is a little awareness and the drive to make it happen. We just need to get the ball rolling for a little while. Today is a great time to do that. If you can take small steps towards courage every single day for the remainder of this challenge, you'll be well on your way to creating this new positive habit. It doesn't have to be anything big. Small acts of courage will work just fine to build this habit. Remember that as you take each next step your self-confidence will increase. That bravery will make it easier to take another courageous move. Remember, it will become easier with each day as you practice this new habit. We're creatures of habit and comfort and we don't like venture outside of our comfort zone unless we're forced to. To make courage a habit, you have to actively look for daily opportunities to practice. What can you do to make that happen? Start paying attention as you go about your busy day. Get in the habit of not shying away from challenges but embracing them and doing things anyway. 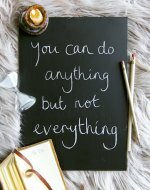 You're probably encountering a lot more challenges throughout your day than you realize. Need a boost in confidence right now? Try my FREE CONFIDENCE BOOSTER HYPNOSIS SESSION.